Alice Bravo-Calabretti was expected to conduct herself like a proper princess. No more impulsive jaunts to neighboring countries. No more tabloid escapades. But the hot new stable hand was a scandal waiting to happen. His bold blue eyes and come-hither smile could tempt a Bravo Royale to misbehave. Until Alice discovered her "penniless groom" was an American tycoon looking for a princess bride! Alice was everything Noah Cordell wanted in a wife. 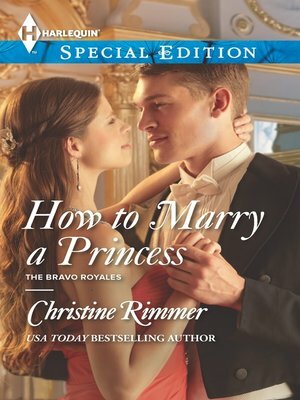 But his royal heartthrob refused to say "I do" until he gave up his most carefully guarded secret. And she wouldn't settle for anything less than everything he had to give. Only then could they share a true meeting of minds and hearts--Bravo-Cordell style!